From Southend to London - De website van rawdee! This work was born during a train trip from Southend to London. Southern England consists of landscapes of power pylons, fields, suburbs ant other signs of human interference. My assignment to myself was to photograph anything. Don't think, take the picture, look further. One can see the reflection of the lights inside te train. 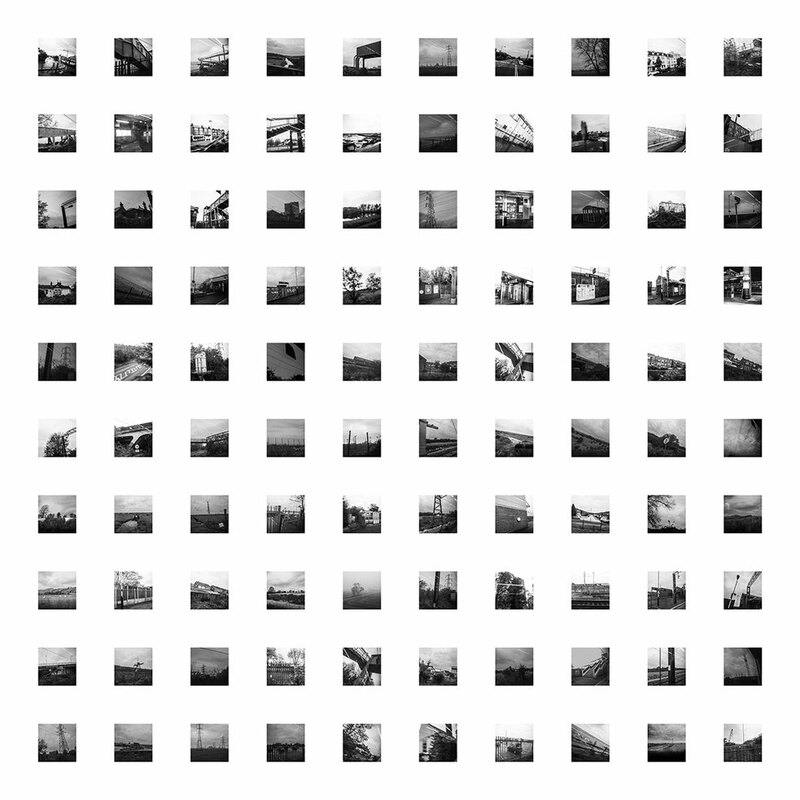 I made more than 400 pictures, selecting 100 to bring together in a square. This way I divided the unity of a train ride into separate moments.